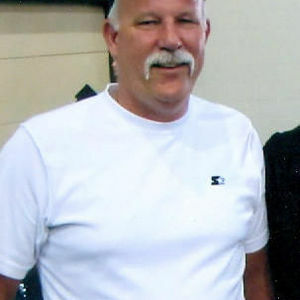 K. Brian Hagen, 54, Wahpeton, ND, passed away Monday, January 28, 2013 at his residence in Wahpeton. The Funeral Service will be Friday, 10:30 am, at the River of Life Community Church (Wahpeton Community Center) Wahpeton, ND. Visitation will be Thursday, 5 PM to 7 PM with a 7 PM Prayer Service at Willow Creek Chapel, Wahpeton, and one hour before the service at Wahpeton Community Center. Arrangements have been entrusted with Vertin-Munson Funeral Home, Wahpeton. Brian was born June 28, 1958, in Decatur, IL, the son of Kenith and Lorene (Tilinski) Hagen. He grew up in Mt. Zion, IL, and married Lynette Baker on July 10, 1982. He was employed by A.E. Staley Corn Milling for 15 years. In 1996 they relocated to Wahpeton, ND, and worked at Cargill. He has been employed in various positions at Cargill, currently as Maintenance Manager. Brian was an active member at the River of life Community Church, Wahpeton. Brian enjoyed many sports, but more than that, he loved his wife and children and his Lord and Savior, Jesus Christ. Brian is survived by his wife, Lynette (Baker) Hagen, Wahpeton, children: Denise N. Hagen (fiancée Jason Howard MD) Savannah, GA; Cadet Select Brett A. Hagen, Colorado Springs, CO; mother, Lorene Hagen, Decatur, IL; sister, Kim (Steve) Mayberry; father-in-law, Lynn Baker; sister-in-law, Mary (Ralf) Pansch,; nephew Shawn Brown; nieces Stacey Brown and Stefanie Pansch. Brian was preceded in death by his father, Kenith Hagen and mother-in-law, Catherine Baker. I love you dad. I still think about you every day. I can't imagine how amazing paradise is for you and being with our Lord. I miss you so much and alot of other people miss you too. I have such a peace in my heart knowing you're with our Lord Jesus Christ. Best dad and friend i could've ever asked for! Lynette and Family, I worked with Brian during startup and for 5 years in Wahpeton then worked with him while I have been in Blair. Brian and I had many conversations about Christ and I often encouraged him to become an evangelist because of his straight forward approach to Christ. Brian would have wanted all who read this to find Christ because he wanted all to have that relationship. My condolences to the family, but "Well Done Brian, Well Done!" So sorry for your loss. Brian was a great sportsman that always had a smile on his face. He was a very nice person. Take comfort in the wonderful memories of him. So sorry to hear of Brian's passing. My thoughts and prayers are with you & your family.